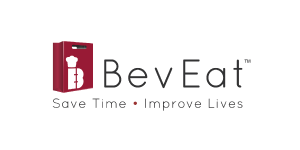 They dedicate their time and resources to enhance the overall experience for our communities. 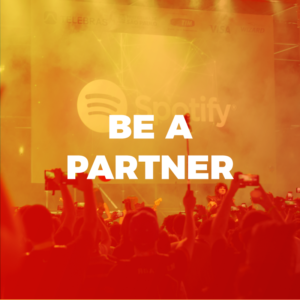 Our partners create meaningful experiences for participants to connect, discover and be inspired on a personal level. The creators of IndoChine Green Festival ;Michael Ma & Camilla Hall, are known for their groundbreaking initiatives and parties since their first event held in London in 2003 with Yo Media. Since 2007, IndoChine Group have been working closely with Dr Ashok Khosla, a leading environmentalist in the global arena and former President of IUCN & Club of Rome Chairman of Development Alternatives. IndoChine Green Festival is attended by the Who’s Who from around the world and held in conjunction with HSH Prince Albert’s Foundation Gala dinner held at MBS. HSH Prince Albert is the Patron of Seaorbiter as well as the Goodwill Ambassador of IUCN. Tribal Worldwide Singapore is the leader in digital business transformation providing solutions: enterprise e/m -commerce; Adobe experience manager; social media marketing; native content marketing; user experience consultancy; social content and community marketing; mobile applications and Internet of Things. It has a team of 140 professionals, including 30 technologists. 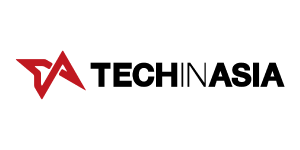 Founded in 2001 as a division of DDB Group Singapore, Tribal Worldwide Singapore is also the Global Centre of Excellence for Technology providing innovation leadership for the 35 Tribal Worldwide offices across 21 countries. 3M innovates with purpose and applies science every day to improve lives around the world. We unite people to solve the world’s challenges. 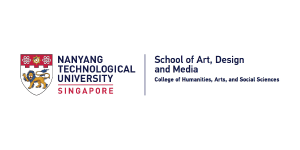 The School of Interactive & Digital Media (SIDM) at Nanyang Polytechnic focuses on a dynamic mix of creativity, the applied arts and digital media technologies. 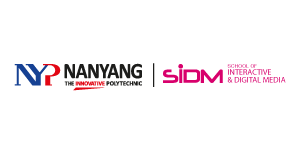 SIDM is a pioneer in developing diploma courses for Animation, Games (both Game Art & Design and Game Development & Technology), Motion Graphics & Broadcast Design, Digital Visual Effects and Interaction Design in Singapore. SIDM believes in collaborating with industry and educational partners to create opportunities for students to have relevant industry projects and we are honoured to be invited to create the opening animation for Campus Party 2018. Kim Choo Nyonya rice dumplings has been a mainstay in Singapore’s diverse epicurean tapestry since 1945. Many covet its rich taste, raiment by the fragrance of Nanyang; finely woven around the humble delicacy. 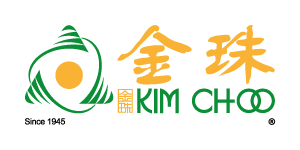 Kim Choo is also recognised for their efforts in promoting the Peranakan (Nanyang) heritage through organised tours, workshops and community activities. The best Q&A and polling platform for company meetings and events. 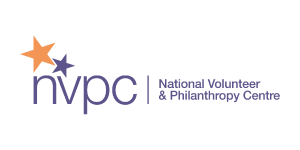 SG Cares is a social movement championed by public agencies, corporate and community partners to build a more caring and inclusive home for all through active volunteerism, ground-up efforts and everyday acts of care. Let us show the world we are a nation that cares. 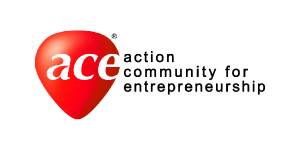 The Action Community for Entrepreneurship (ACE) is a national led private sector organisation building a thriving and sustainable startup ecosystem in Singapore. 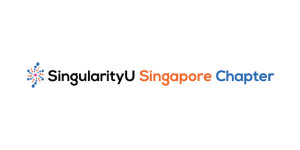 Working closely with SPRING Singapore, ACE focuses on 3 key thrusts, to build an Access hub for Connected Ecosystems, an Avenue for Company Expansion, and being an Accelerated Co-innovation Enabler. 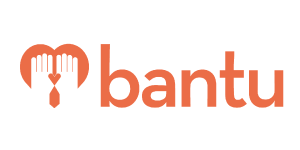 bantu is a social enterprise that seeks to transform non-profit organisations with the right technologies, preparing them for the 21st century and beyond. We are registered with raiSE, and work very closely with various government bodies to transform volunteerism locally. Collision 8 is a coworking space located in downtown Singapore offering workspace to a curated community of innovators from diverse backgrounds. We offer hot desks, dedicated desks, private offices, events space, and meeting rooms. Located in Clarke Quay, Collision 8 is a convenient place to work and connect with other business owners who are passionate about innovating and growing together. 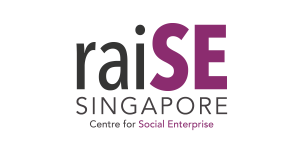 EDGE is a community supported by the Action Community for Entrepreneurship (ACE) that aims to promote youth entrepreneurship in Singapore. Raising applied aspects of digital technologies and solutions awareness & knowledge among professionals. Validating & Identifying solutions partners across skills set, & industry verticals. 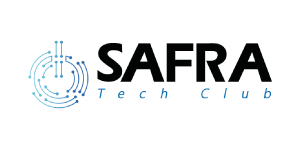 Enabling collaborations among Startups, SMEs, Corporate, Government Agencies, and Institutions in vertical areas such as Smart Cities, Industrial, Agriculture, Building, Healthcare and so on. Bridging the gaps between innovation & business-readiness. 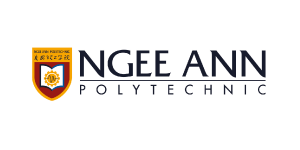 Ngee Ann Polytechnic started in 1963 and is today one of Singapore’s leading institutions of higher learning with 15,000 enrolled students in over 40 disciplines. It seeks to develop students with a passion for learning, values for life, and competencies to thrive in a global workplace. 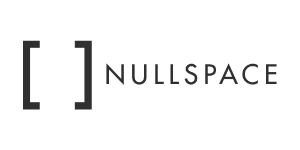 Founded in 2008, Nullspace Robotics is a premier provider of technology education training and content. Our clientele includes MOE schools, corporate training clients, overseas schools, and private enrichment clientele within and outside Singapore. We are also the proud organiser of the annual Innovation, Design, and Engineering Competition Series. 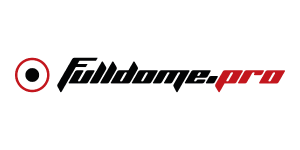 Our operations include a state-of-the-art private learning establishment – Nullspace Centre for Robotics Learning (C4RL), located along Upper Bukit Timah Road (C4RL-WEST) and Figaro Street (C4RL-EAST). 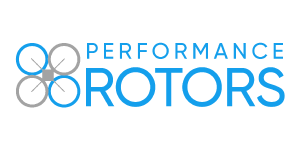 Performance Rotors is an Unmanned Aerial Solutions provider based in Singapore with deep roots in Drone Racing and Drone Acrobatics. At Performance Rotors, we endeavour to develop Smart Aerial Vehicles for Everyone – drone solutions for any circumstance and any skill level. Our ability to bring AI and practical engineering together, thanks to our extensive drone backgrounds, defines us as a formidable player to address the rapid demands for drone solutions in the industrial space. 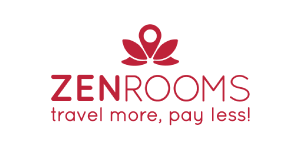 The first Coworking/Maker/Coliving Space in Batam that dedicate itself to Startups and innvoators! 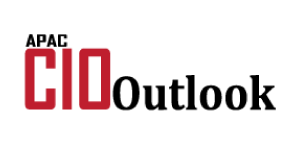 (Singapore) Cybersports & Online Gaming Association (SCOGA) was founded in 2008 by a group of enthusiastic gamers and leaders who wanted to make a difference for esports in Singapore. SCOGA aims to elevate esports by educating young people, nurturing online communities and creating job opportunities. 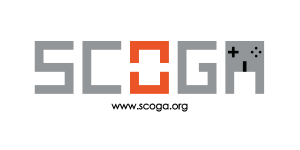 In 2017, SCOGA started the Esports Academy with the support of the National Youth Council. SCOGA’s vision for the Esports Academy involves creating a centre of excellence around esports and youth leadership. The academy aims to equip youths with skills such as leadership, team work and communication to strive towards their aspirations and grow in their careers. 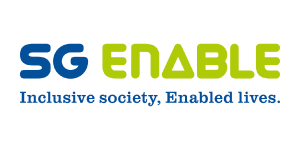 Set up by the Ministry of Social and Family Development in July 2013, SG Enable is an agency dedicated to enabling persons with disabilities and building an inclusive society. It seeks to provide support to persons with disabilities across different life stages. 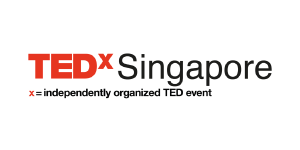 For more information, please visit www.sgenable.sg. 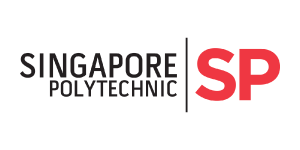 Singapore Polytechnic is an institution of higher learning in Singapore. It is also the first polytechnic established in Singapore. 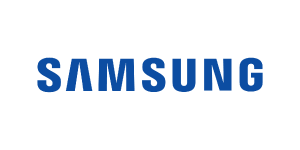 It was founded on 27 October 1954 to provide studies, training and research in technology, science, commerce and the arts. 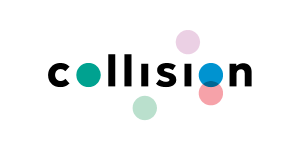 Sustainable Living Lab is a social innovation lab that aims to build a sustainable future through community building, technology experimentation and social innovation. 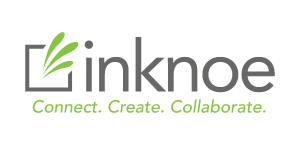 We innovate and implement the latest technologies, adopt and deliver powerful thinking frameworks and build thriving learning communities. 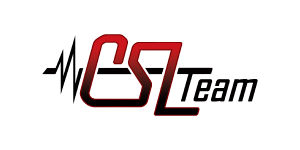 Team CSL is a South Korea-based professional cosplay team with over 15 members formed in 2010. 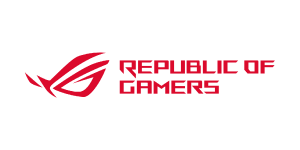 We are largely known for our League of Legends and game-related cosplay, having sent more than 20 members to the LoL World Cup Championship held in Seoul, in 2014. Our members are also renowned in the international scene, with representatives in the prestigious World Cosplay Summit (WCS) from 2008 to 2016. CSL’s influence also greatly extends over Asia as we partake as guests for events held in China, Japan, Thailand, Philippines and so on. We take pride in crafting high quality, detailed costumes and impress at creating live action performances. Recently, we have also up-scaled our photography and videography skills and plan to take it further to a movie-level. 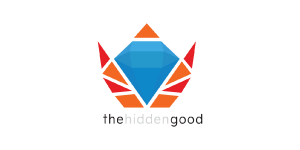 The Hidden Good is the only youth-driven social enterprise and media platform in Singapore that creates content to help spread social messages and social impact. 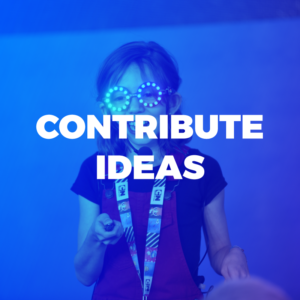 We create innovative social experiments and experiences and merge them with community engagement to uncover the goodness and possibilities in the world around us. 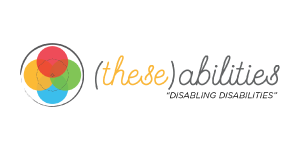 (these)abilities is an Inclusive Design & Tech agency that works with companies to build new products, services, environments and campaigns that benefit not just Persons with Disabilities, but serves as a fresh experience for all. 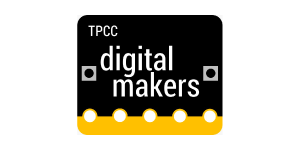 Since 9 December 2016, Tanjong Pagar Community Club Management Committee (CCMC) started to gather residents and volunteers who have a passion to create technology and connect people with each other through design and innovation. 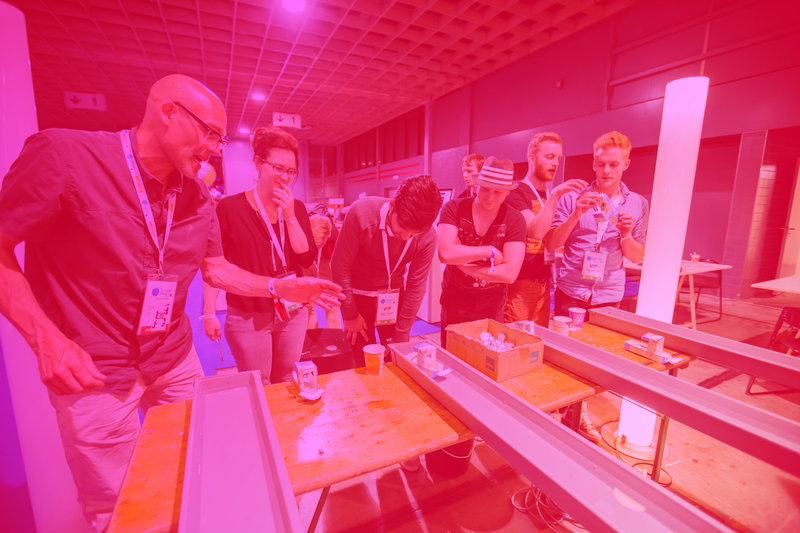 With the aim to build and grow the “makers” space in our community, many DMIG members and volunteers have been exposed to the Micro-Bit chip sponsored by Infocomm media development authorities (IMDA) and have attended several hands-on and practical workshops by professionals from the industry. The group also supports the building of a future economy, where skills-based and collective wisdom of learning forms an important base for our residents to be future programming experts, design practitioners, tech-wizards and cross-trained engineers. Our workshops foster interaction, bonding among inter-generations and share learning with one another thereby promoting knowledge transfer and above all it helps foster a creative and vibrant community in our neighbourhood. 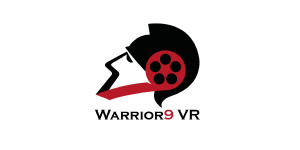 Warrior9 VR is a Singapore-based company that specialises in creating immersive experiences that are high quality, easily accessible and designed for wide audiences.We are pioneers in animated narrative VR content. Our work has won awards and been featured at the Cannes Film Festival. 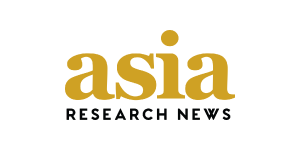 Since 2004, Asia Research News has been helping Asia’s universities and research institutions promote new research findings and academic expertise to a wider international audience, including the media. Our services include specialist writing and targeted media distribution.Our news portal, www.researchsea.com, helps connect Asian researchers with the media and the public. We also publish the annual magazine, Asia Research News magazine, which highlights innovative and significant breakthroughs from Asia. APAC CIOoutlook is a print magazine that aims to provide a platform for CIOs, CTOs and other senior level IT buyers and decision makers along with CXOs of solution providers to share their experiences, wisdom and advice with enterprise IT community of APAC countries. 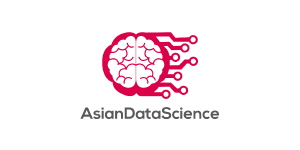 Asian Data Science is a one-stop data science community platform for Asia that is choc-a-block with data science thought leadership topics, case studies, use cases, news, events, training, education, companies and jobs. 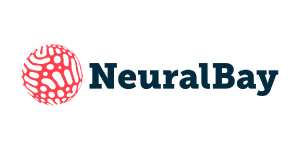 We cover the following data science themes: big data analytics, advanced analytics, artificial intelligence (AI), machine learning and deep learning. 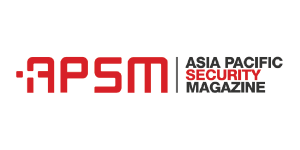 The Asia Pacific Security Magazine is published bi-monthly with a strong support for industry exhibition and conference events within the Asia Pacific region. It is available online to read by all and distributed to leading industry decision makers and a subscriber database. 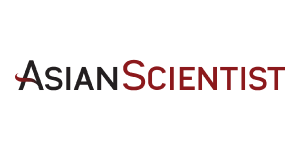 Asian Scientist Magazine is a print and online magazine that covers breaking R&D news and feature stories from the Asian scientific and medical community. The magazine is dedicated to providing healthcare professionals, researchers, government agencies, educators and students with timely, close-to-the-scene information from Asia. 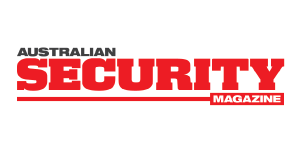 The Australian Security Magazine is the country’s leading government and corporate security magazine. Printed bi-monthly, the magazine is distributed at leading industry conferences, and to many of the biggest decision makers in the security industry and sold in selected stores. It is a highly respected and sought after publication, incorporating investigative journalism, provoking editorial and up-to-date news, trends and events for all Australasian security professionals. 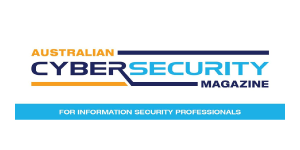 Focused on members of the Australian Information Security Association (AISA), the ACSM forms part of AISA’s national cyber security awareness and membership communication platform. 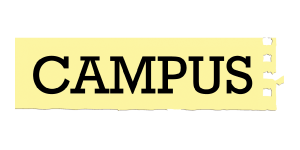 Campus Magazine is a bi-monthly publication for tertiary students, distributed free across all of Singapore’s major universities, polytechnics, private schools, and junior colleges. We are rich in student-oriented content, with a pool of contributors submitting articles on an array of topics from education and technology to lifestyle and local issues. CPO Magazine (or Chief Privacy Officer Magazine) provides news, insights and resources to help data protection, privacy and cyber security leaders make sense of the evolving landscape to better protect their organizations and customers. 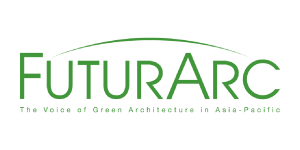 FuturArc is the leading voice of Green architecture and design in the region, reporting on prominent projects and featuring in-depth discussions and commentaries of issues relevant to architects and industry professionals. Established in 2006, BCI Asia started FuturArc to advocate for architecture that demonstrates social responsibility and sustainability, as well as to generate discourse to heighten awareness. Today, the editorial content is compiled by regional and global FuturArc correspondents and contributors working in Hong Kong, Indonesia, Malaysia, Philippines, Singapore, Thailand and Vietnam. GameAxis (GAX) games entertains readers with reviews on games, gear and films, with GAX magazine and digital tablet available only in Malaysia. 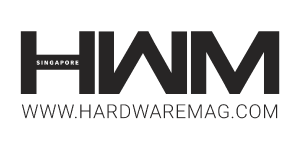 HardwareZone is the leading online portal in South-East Asia with monthly page views exceeding 42 million. 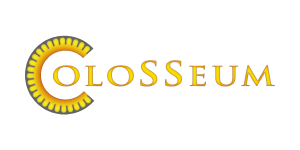 It has grown from a computer hobby site to a reputable technology portal which focuses on computing, consumer electronics and serving out quality news and reviews. ITV-Asia.com is a leading Asia-focused business website that aggregates, creates and curates content from a variety of individual and corporate contributors to provide an impartial view of business in Asia. We have more than 500 articles and market research reports online as well as more than 1,000 videos featuring business leaders across the region. 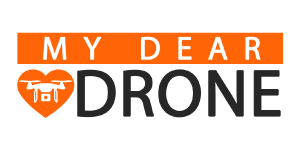 Oliver McClintock, a passionate drone enthusiast and pilot who shares his knowledge and experience on his website mydeardrone.com. Driven by pure dedication and interest in flying devices, the sky is no longer the limit for Oliver’s vision. He is on a mission to explore the ins and outs of aviation gadgets, create in-depth buyer guides, do hands-on product reviews, etc. 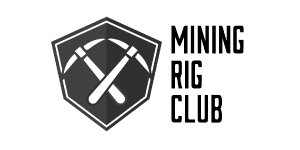 With his site, you will understand far better about RC drones and aviation news like never before. 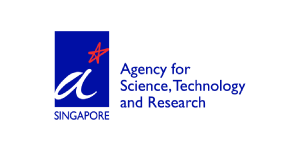 The Singapore Space and Technology Association (SSTA) is Singapore’s lead association focused on developing Singapore’s space technology industry. 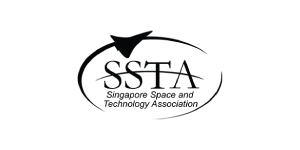 SSTA spearheads major trade and business-focused initiatives with the aim of advancing Singapore’s space ecosystem, thus catalysing Singapore’s drive as a regional space hub. On the domestic front, we drive educational and outreach programmes to encourage STEM careers in the expanding space industry. 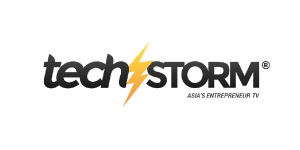 Tech in Asia is a media, events, and jobs platform that builds and serves Asia’s tech and startup community. 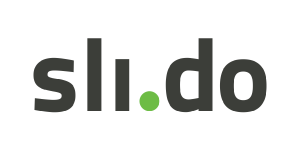 Media: Covering the latest startup news, insights and establish thought leadership. 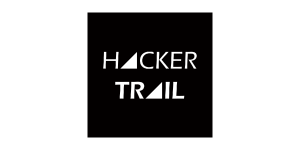 Events: Gathering Asia’s tech communities at our annual conferences and bespoke events. Jobs: Facilitating tech job searches and talent recruitment. 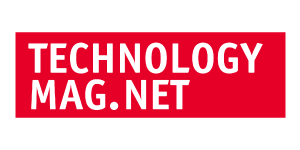 technologyMAG – an online magazine, which contains a variety of subjects as industrial machinery, clean energy, digital factory, internet of things (IoT), public transportation, metalworking, electric & electronics, automation, auto & motorcycle, waste water treatment, surface finishing, printing & packaging, etc. technologyMAG and its marketing activities will be broadcasted to target readers & professional players in various industries in across Vietnam country in the first stage and Asia countries in the second stage. 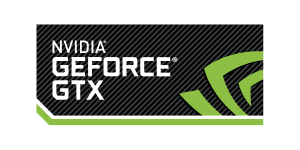 TechReleased is one of the leading source of technology information and the only newspaper that provide all the technology news and releases from the globe. 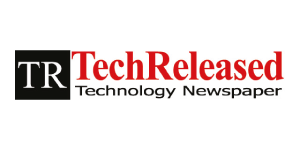 TechReleased Technology newspaper providing latest technology news from Computers, Mobile, Gadgets, Electronics, Automotive, Aerospace, Games, Energy, Consumer, Healthcare, Military, Marine and Telecommunication. Tech Storm is a powerful proposition which hits the sweet spot of digital convergence of media and technology. We get you to places beyond imagination with our intriguing TV programmes, original mobile videos, editorial digest on the world’s most ingenious innovations, exhilarating discoveries and technology’s rising stars. 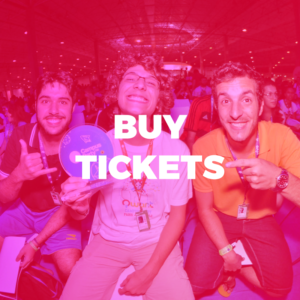 Join us to inspire a world of change for tech loving fans. 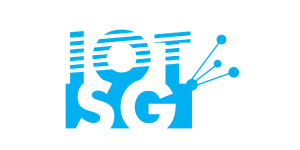 Meet The Best Singapore, one of Campus Party Singapore’s media partners. 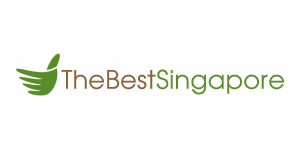 TheBestSingapore.com is a well-established travel & lifestyle website covering most talked-about topics in Singapore. They enjoy telling good stories of our “beautiful little red dot” city, from the country’s delicious cuisine and colorful culture to people’s dynamic lifestyle. So you can find all the best things Singapore has to offer on their website! Go with TheBestSingapore.com, if you also want to live a life in Singapore with all your heart or wish to take in all the beauties while traveling here. The Institution of Engineers, Singapore was formally established in 1966 as the national society of engineers in Singapore. IES is the premier engineering Institution in Singapore and is often called upon by the Government to provide feedback on professional engineering matters. IES is well represented among the faculty members of the major engineering institutions of higher learning in Singapore. 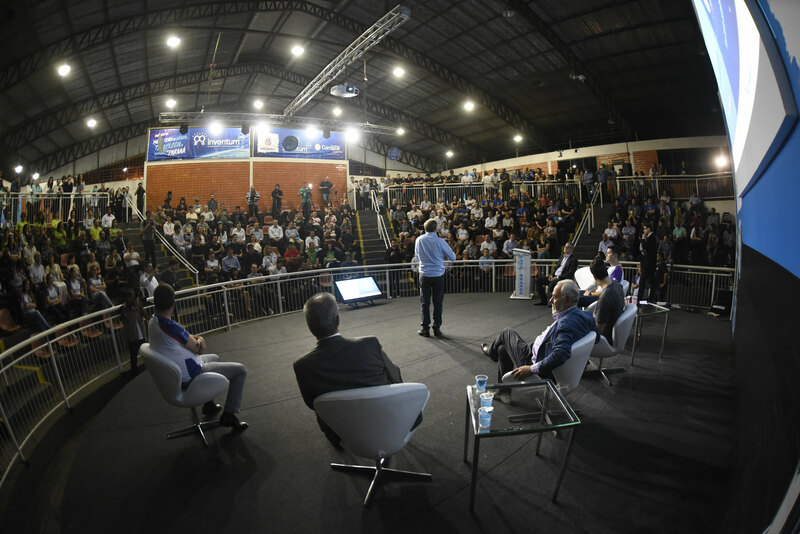 Through close collaboration with the local universities and polytechnics, The IES Academy organizes courses, seminars and talks for engineers and IES members to advance the continuous development of engineers. 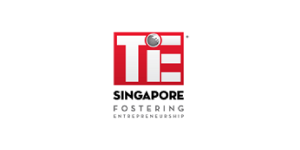 TiE Singapore was founded in 2001 by a group of successful entrepreneurs, corporate executives, and senior professionals to enable the Singapore entrepreneurial ecosystem to grow. Today it is a vibrant ecosystem of Asian entrepreneurs, Capital Institution providers, community builders, industry professionals and Thought Leaders. 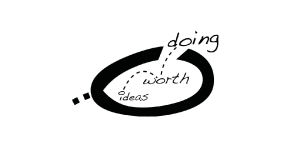 It is a non-profit that inspires entrepreneurs through its training, mentoring and networking programs. Management 360 (M360) portal provides easy access to a comprehensive repository of relevant management and leadership knowledge with emphasis on Asian-centric practices and profiles leading management and leadership viewpoints from SIM undertakings such as management surveys, topical research, case studies, and interviews with top executives from across the region. 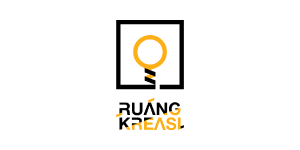 VietnamBusiness.TV is one of Vietnam’s leading English-language business websites. 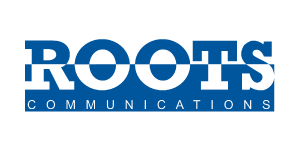 It aggregates, creates and curates content from a variety of individual and corporate contributors to provide an impartial view of business in Vietnam. We have more than 500 articles and market research reports online as well as 350+ videos featuring business leaders from the country. Xavier is a Tech Blogger; he is here to share about Lifestyle, Technology and Gadgets. He is passionate about street photography capturing daily lives of people. 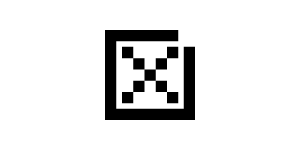 Xavier also does Events, Product and Home Interior Photography, and by the way his logo is not a QR code. 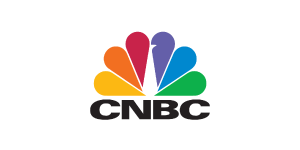 PR Newswire, a Cision company, is the premier global provider of media monitoring platforms and news distribution services that marketers, corporate communicators and investor relations officers leverage to engage key audiences. Having pioneered the commercial news distribution industry over 60 years ago, PR Newswire today provides end-to-end solutions to produce, optimize and target content — and then distribute and measure results. Combining the world’s largest multi-channel, multi-cultural content distribution and optimization network with comprehensive workflow tools and platforms, PR Newswire powers the stories of organizations around the world. PR Newswire serves tens of thousands of clients from offices in the Americas, Europe, Middle East, Africa and Asia-Pacific regions.